With summer just around the corner, we’ve all begun to look for new hobbies to take up. Something athletic, something that has that “fun in the sun” quality. 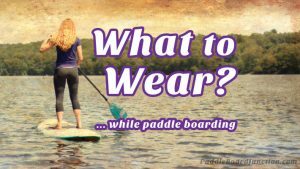 For many people, that ideal activity has become paddle boarding. 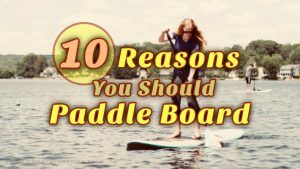 But before you get too invested into this new pastime, it’s good to make sure you have a paddleboard that is fitting for a beginner (before you decide to go pro). When first searching for paddleboards, it could be a little overwhelming. Do you go with inflatable or solid? Do you go with larger or smaller? 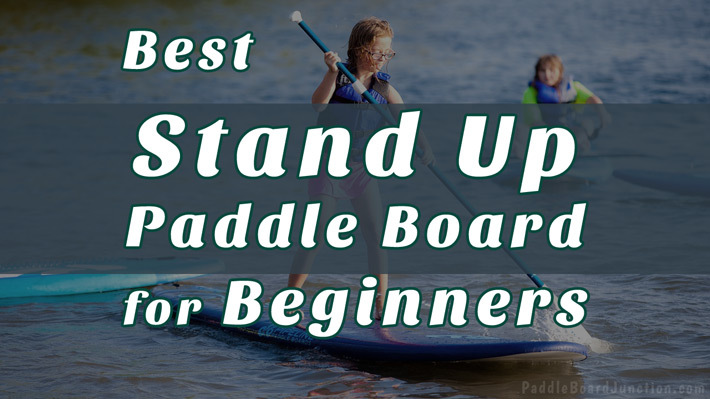 These boards are easy enough for beginners to use, but durable enough to last for a long time as your paddle boarding skills advance. Two of these are inflatable, which is often the best option for beginning paddle boarders. All three of the boards reviewed here will give you a superb experience for the price! Behind the peak SUP is a massive amount of rave reviews. The reason? It’s stable, easy to store, a breeze to transport, and is one of the most affordable stand up paddle boards for beginners. Once inflated, the PEAK is 10’6” x 31” x 6” and weighs in at around 23 pounds. 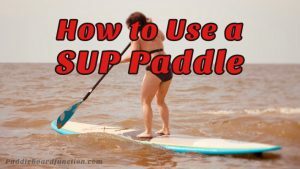 This SUP can support riders up to 300 lbs. Have a couple of kids or your family dog that will be joining you out on the water? Another benefit to this board is its durability and stability. It’s made out of Military Grade PVC and boasts a thickness of 6 inches. It can take a beating while you stay dry (if you want). 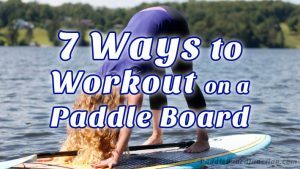 Its stability makes it ideal for paddle boarding novices! Not only is the Peak strong, but it also has a soft traction pad which helps you keep your footing. The PEAK is manufactured by “Isle Surf And SUP,” a well respected name in the SUP industry. They’ve been producing high quality boards since 2004. 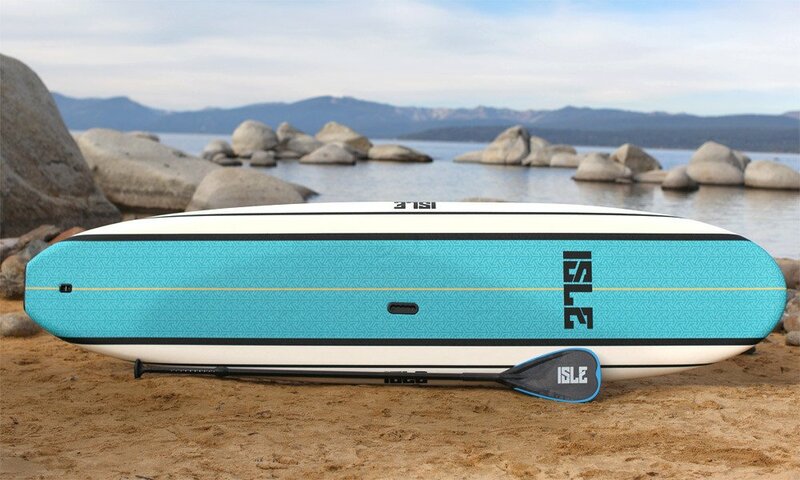 Another board produced byIsle Surf And SUP, the Classic Soft Top is loved by all and similarly priced as the PEAK. In fact, The Classic Soft Top is much like the PEAK in its perks, so it really is up to preference: iSUP or SUP. With a thickness of 5”, this board is great for beginners and more experienced riders because of its stability. Its soft deck allows for maximum comfort for the rider, while its EPS core with triple stringer system and dense bottom allow for that classic rigid ride and feel. 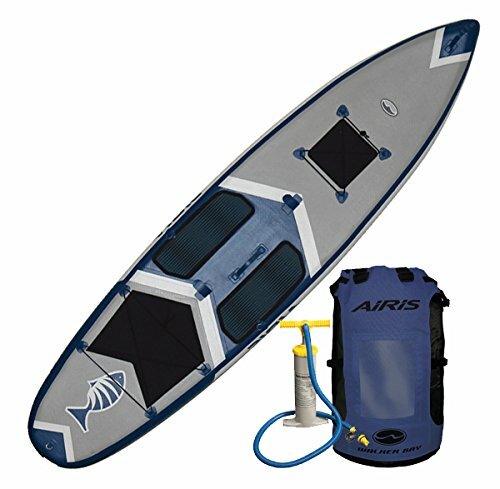 The Airis SUV comes in three sizes: 9’, 11’, or 12’6”, but the 11’ is the most common length for those who are just starting off, while a 9’ is mostly for the younger paddlers and a 12’6” is for those advanced, long distance trips. These boards are best known for getting rid of all balancing issues. With their fiberglass plates and tough build, along with its 6” depth to further enhance durability, this board makes it easy for beginners to have a trouble-free ride. With one-way valves, inflation and deflation is kept quick and simple, so riders are able to roll out their board and go without having to worry about the hassle of waiting for it to fill up with air for a very long time like some inflatable SUPs. And as boarders advance, the Airis SUV has various points to attach gear with elastic cords, so you can always bring your camera later on to show off your skills. While not as inexpensive as the other boards here, the Airis SUV comes in a variety of sizes and gives you a bit more board for your money. 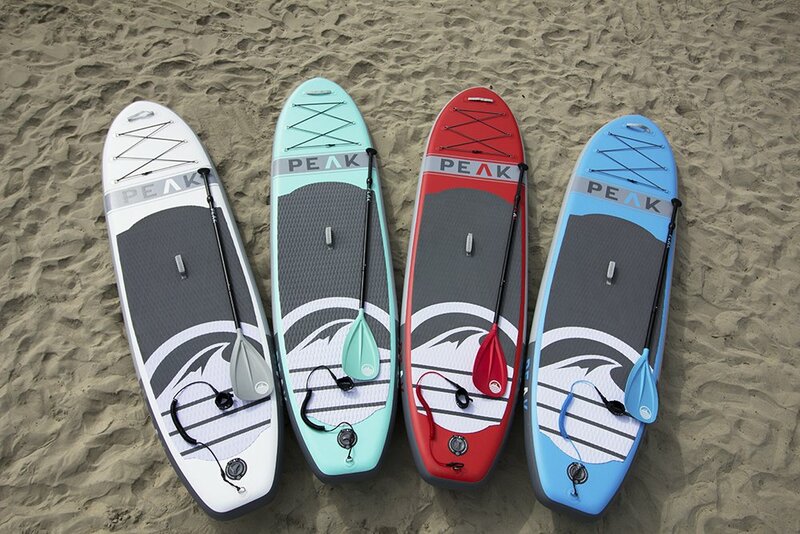 If you’re looking to get into the sport of paddle boarding you really can’t go wrong with the PEAK inflatable. The fact that can be blown up and deflated really make storage a no-brainer. A rigid board such as the Isle Classic Soft Top is a great starter-board but you will have to make sure you have the room to store it. Not only that, transporting a SUP now becomes a consideration too. Storage & Transportation couldn’t be easier with an inflatable standup paddle board. That’s probably why the PEAK is so darn popular!